This 2-level villa modern contemporary has been newly renovated. The master bedroom on the upper level overlooks Benoa Beach. Tropical gardens and private swimming pool. 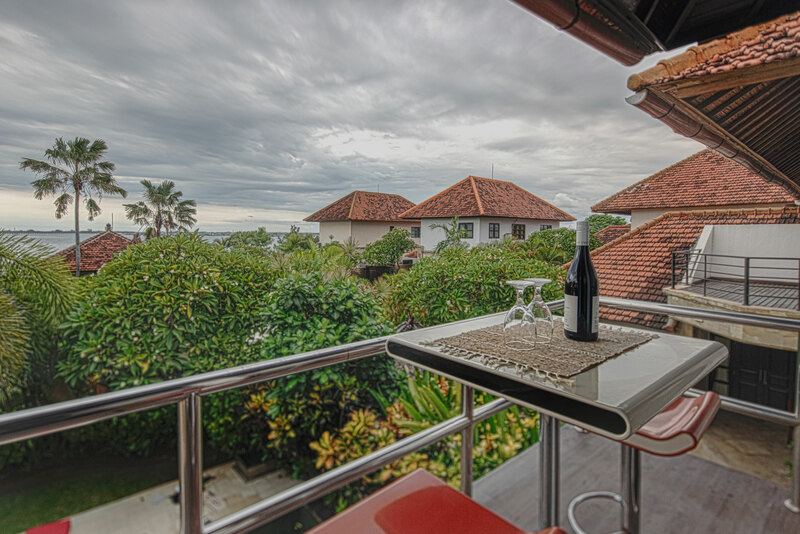 Enjoy views over Benoa Beach from the second floor balcony.